These are pre-cut masks from yellow kabuki tape material that are ideal for masking small round openings or shapes. 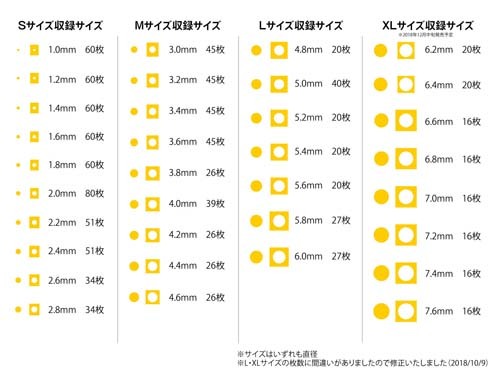 As shown in the image, the diameters of the round masks range from 1.0mm to 6.0mm. Each sheet size is 4.5" (11.8cm) x 3.5" (9.0cm) and one sheet is included per pack.